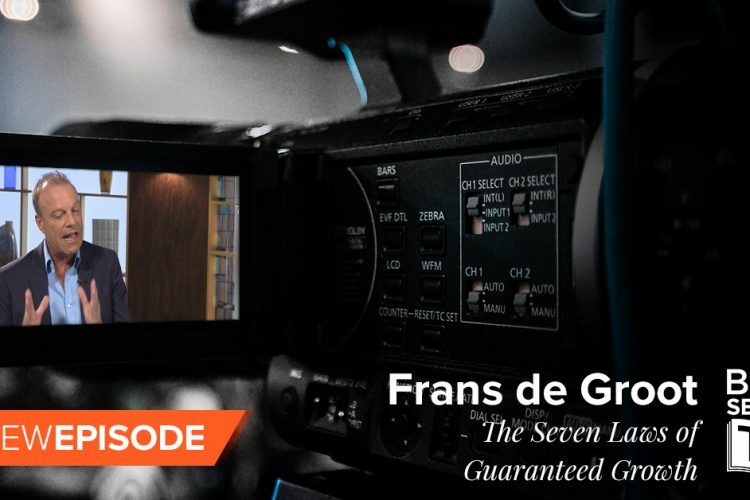 Don’t miss Frans de Groot discussing his book, The Seven Laws of Guaranteed Growth, and the management model he created that seamlessly helps people reach their goals on this episode of #BestSellerTV. NEW YORK, NOVEMBER 2017 (GLOBE NEWSWIRE) — Best Seller TV, the only show dedicated to covering today’s best-selling business books on C-Suite TV, is announcing its November lineup featuring in-depth interviews with leading business authors Frans de Groot, author of The Seven Laws of Guaranteed Growth: BITSING: The World’s First Business Management Model that Guarantees Success Deirdre Breakenridge, author of Answers for Modern Communicators: A Guide to Effective Business Communications, Stacey Alcorn, author of Reach! Dream, Stretch, Achieve, Influence, and Sylvie di Giusto, author of The Image of Leadership: How leaders package themselves to stand out for the right reasons. Frans de Groot, author of The Seven Laws of Guaranteed Growth: BITSING: The World’s First Business Management Model that Guarantees Success, talks about a management model he created that seamlessly helps people reach their goals – personally or professionally. The book is about profitability, growth and for anyone looking to increase their bottom line results. De Groot is a strong believer in the power of communications and how it is capable of making or breaking things. He reveals his ‘secret sauce’ by defining “BITSING” and the big companies who have used his methodology to increase their profits and margins.